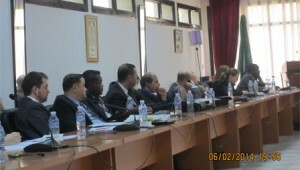 The African Centre for the Study and Research on Terrorism (ACSRT) held, from 4 to 6 February 2014, at its Headquarters in Algiers, a workshop on the implementation of the Algiers Memorandum on Good Practices on Preventing and denying the Benefits of Kidnapping for Ransom by terrorists. 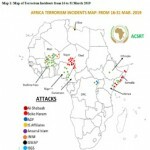 The workshop was organized for the benefit of 11 Sahelo-Saharan AU Member States more directly exposed to the threat of Kidnapping for Ransom (KFR) by terrorists. It was a platform for open discussion, awareness raising and exchange of experience between member states and other relevant stakeholders on the KFR problem, the challenges it poses and the pernicious consequences of ransom payment. 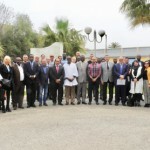 The workshop sought to identify and formulate strategies and standard operating procedures for implementing the Algiers Memorandum. This workshop is the first of the four planned regional workshops on the same subject: two dedicated to AU Member States in the North, Sahel and West African regions, and the other two for Member States in the East Africa and the Horn of Africa Region. The workshop was attended by more than 80 participants from Algeria, Burkina Faso, Cameroon, Chad, Libya, Mauritania, Nigeria, Niger, Mali, Senegal and Tunisia, as well as experts from Africa, Asia, Australia, Europe, USA, Canada, European Union Commission and the United Nations. 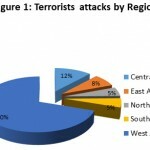 The reasons that lead terrorists and criminals to use KFR as tactics; the local and regional vulnerabilities that favour terrorists’ use of KFR; Comparison and contrast of trends in KFR tactics regionally and internationally; discussion on the broader economic and societal effects of KFR; identification of KFR-relevant international, regional, and other frameworks and agreements; discussion on the stipulations of international and/or regional frameworks related to KFR and how they are being applied; discussion on the challenges to the adoption or implementation of good practices; evaluation of different approaches to public awareness and prevention of terrorist use of KFR; explanation of the importance of developing security and criminal intelligence sources in KFR networks pre-crisis; discussion on benefits and challenges of sharing information with the private sector and methods for so doing; developing action plans and strategies for implementing or improving prevention efforts; discussion on interrupting kidnappings methods (e.g., tip lines) and their successes / challenges; explanation of model processes and procedures for investigations and interventions; comparison of different approaches of cooperation and coordination across disciplines and borders. Developing action plans to help implement or improve integration and information sharing efforts; media Engagement Strategies and other communications management strategies; working with Families and the Private Sector; prosecutions and Rule of Law. AU delegates valued the opportunity to familiarize themselves with the frameworks, law enforcement mechanisms, type of military action and intelligence operations that may be resorted to to effectively combat the use of KFR by terrorists and deny them the benefits of hostage taking. They also expressed their gratitude to the ACSRT for organizing such high quality event which significantly contributed to enhance their technical and scientific capacity on the KFR phenomenon. Ambassador Francisco Madeira expressed appreciation for the experts’ excellent presentations and the lively discussions that ensued. He thanked participants and the resource persons for their contribution to the successful outcome of the workshop. 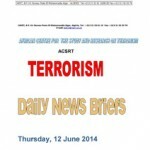 He highlighted the good cooperation between the ACSRT and GCTF which led to the fruitful results of the workshop.